After today’s chaos, get ready for another dose of Giro fun. 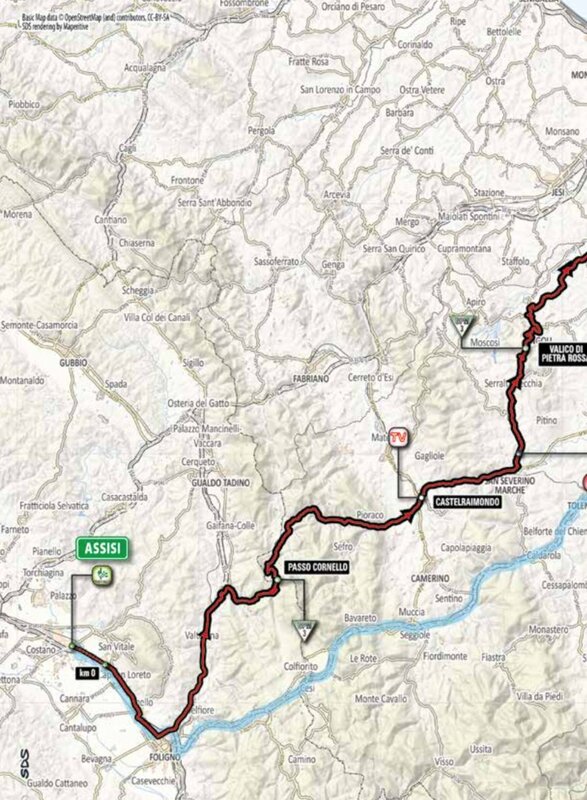 Just 156km long, this is going to be a crazy day. 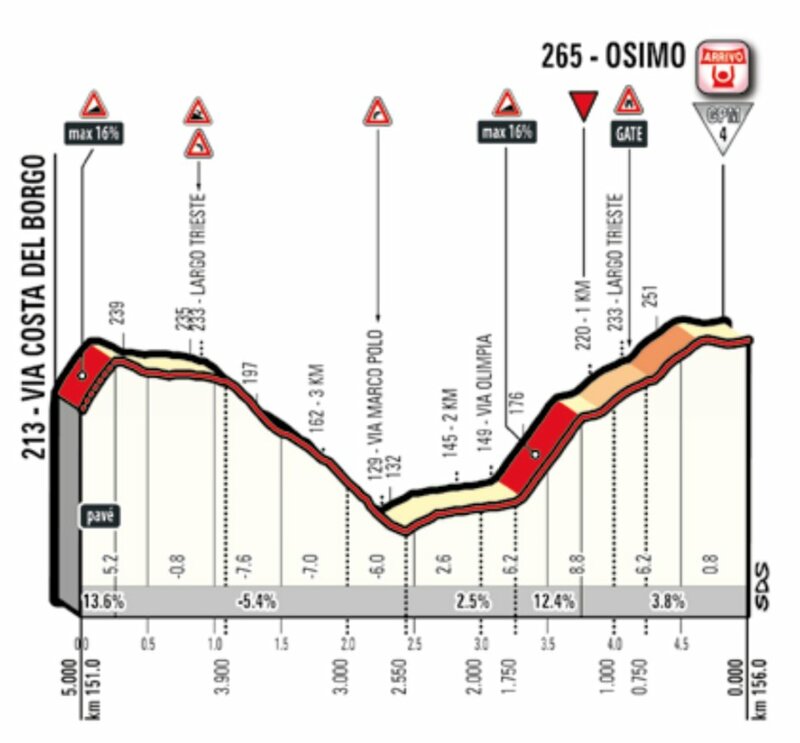 The stage starts with a gentle uphill section, before the opening climb of the day. It is more than likely we’ll see the break form on this hill. 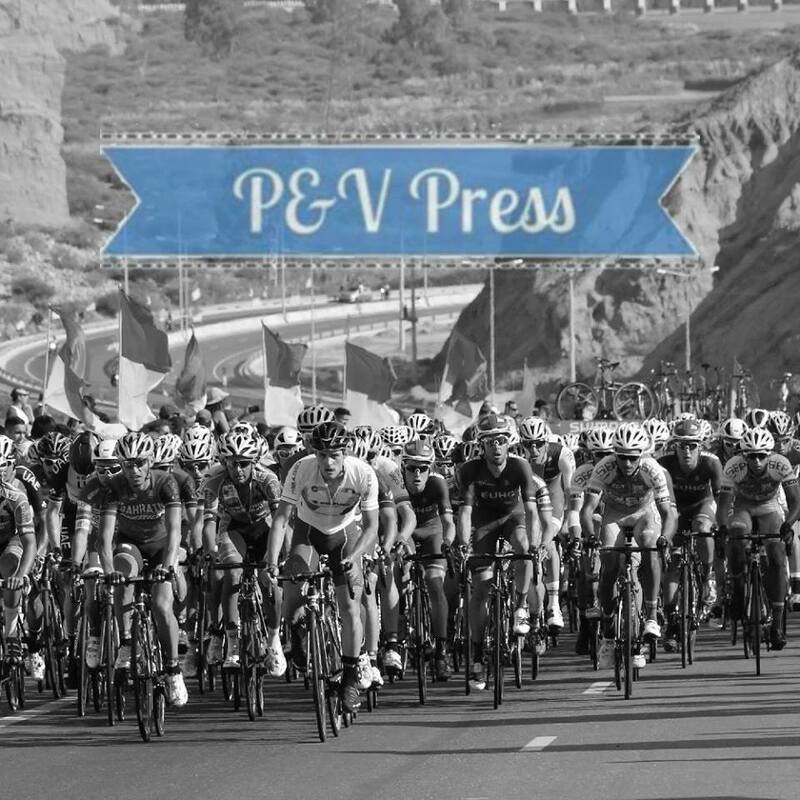 It might only be cat 3, but it does include some difficult sections. Once the break has been established, the next action doesn’t come for another 80km. Muro Filottrano is a horrible little climb, featuring 800m at 11.8%. 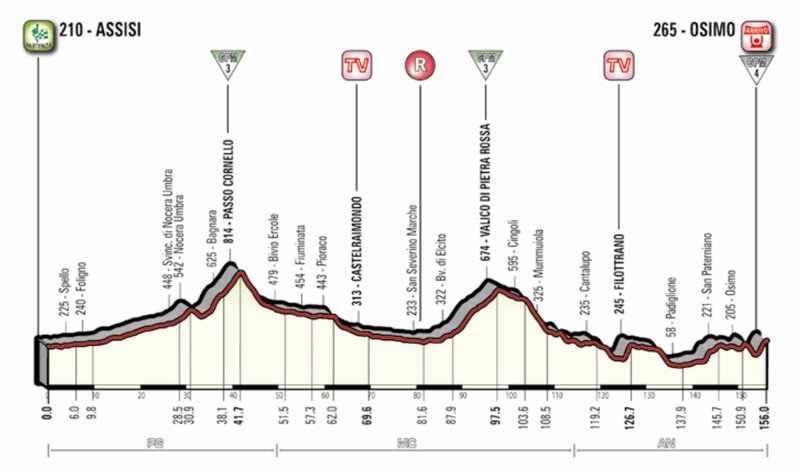 It’s a shame it comes 30km from the finish, I don’t see many riders wanting to attack at this point. 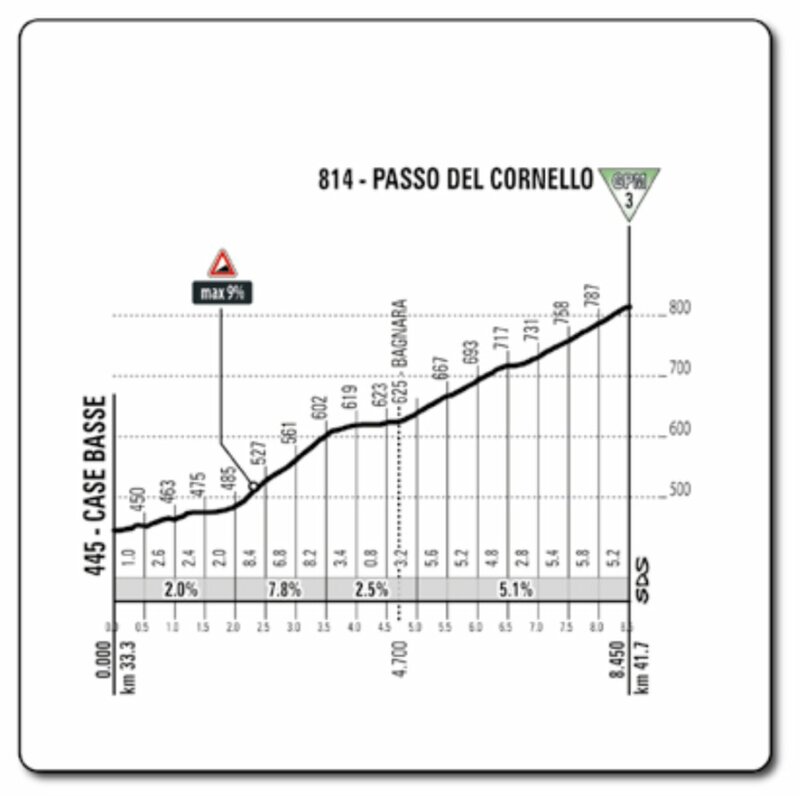 The next climb to deal with is an uncategorised effort of 3km at 4.2% coming after 146km, then it’s the end game. The last 5km kicks off with around 300m at 13.6%, on city centre cobbles. Then follows a fast descent, into the final climb of the day. Muro Olympia features 750m at 12.4% and the climb is on a narrow road. Once over the steepest section, the climb continues to rise. With 750m remaining, the bunch has to enter the town via a narrow gate, there is only room for single file. When the climb eventually finishes, the riders have 300m of flat roads till the finish. Clouds and maybe some rain. The wind is coming from the south-west, meaning a tailwind for a lot of the stage. Get ready for a fast one! We won’t see the same race as today. This is a stage where most teams will be waiting for the finale. The battle for the break will be fierce, but if they don’t go until the first climb, there isn’t a lot of time to establish a gap. This looks like a “bunch” finish. Tim Wellens – the finish is similar to his win back on stage 4. Looking at the mix of cobbles and climbing it does remind me of his win in Andalucía. His team will look to dominate the descent into the final climb and then it will be up to their main man. He isn’t as fresh as he was at the start of the race, this will be a harder stage for him to win, but he’s still the favourite. Enrico Battaglin – riding as good as I’ve ever seen him. He’s already got one win, a 3rd place and two 4th places to his name, in what his becoming a career defining race. I look at this finish and think it could be right on his limit, but his form is clearly great. Michael Woods – always the bridesmaid, never the bride! Regular readers will know that Woods frustrates me, but I do appreciate his talent. He gets into so many brilliant positions, but never has what it takes to finish it off. Could this be the day it all changes? Simon Yates – a rider in the form of his life. The Bury boy was 4th back on stage 4, when he just didn’t have enough gas to make the podium. Since that point he has taken a stage win and wears the pink jersey. Mitchelton-Scott have a brilliant squad and they will hope to dominate the closing stages, allowing Yates to attack. Make no mistake, he will sense a chance to take a little more time on his rivals and potential win a second stage. Diego Ulissi – hasn’t turned up yet. This is not the Ulissi we usually see at the Giro and I’m waiting for him to appear. The steep approach is brilliant for him, as is the flat sprint. If a small group approach the line together, no one will be faster than Diego. Giovanni Visconti – will he be on Pozzovivo duty? We saw on stage 5 that he had to help pace his team leader back to the bunch, before sprinting for 2nd place. This is the danger when riding for a squad with an undisputed leader. The finish might also be a little too hard for Visconti. Pello Bilbao – the Astana option? To be fair, he doesn’t look as strong as the riders already mentioned. Astana might send Luis Leon Sanchez on a long range attack. Davide Formolo – the Italian has been knocking on the door. He was 5th back on stage 4, before he crashed and lost time on Etna. That was a massive disappointment for him, but he came back fighting and now has sights on the top 10. Formolo is a magnificent talent and has what it takes to win this stage. Time for the real Diego Ulissi to stand up. Nicely written and informative preview, thank you.